Obsidian's Alpha Protocol is like totally done. For reals. After what seemed like a dozen delays, the game has gone gold, and it's ready to ship to stores on June 1. In order to celebrate this momentous occasion, Sega has released yet another "vignette." Because that's what Sega does, they release a lot of videos leading up to a game's release. We even had a bunch of exclusive ones, which was pretty cool. But does anyone remember Aliens vs. Predator? I think we got a trailer a day for six months leading up to that one. That's fine, though. 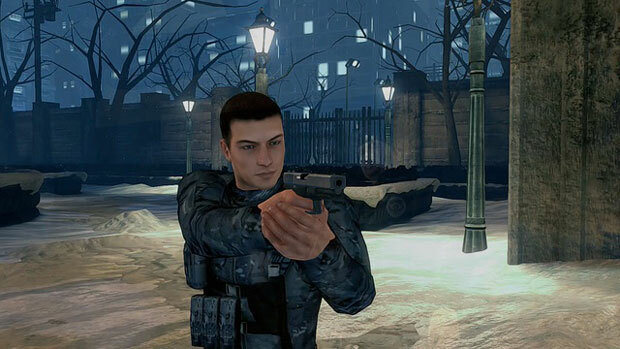 There's a lot of game on the Alpha Protocol disc, with varying paths based on your choices and how they'll impact in-game relationships. We'll have a hands-on preview up later this month, with a full review to follow. Expect seven or eight official videos from Sega between now and then.